Upon your arrival at Kilimanjaro Airport you will be greeted by our transfer driver and taken to the Meru View Lodge in Usa River, close to Arusha. The rest of the day is for you to enjoy at leisure – relax at the hotel pool or take a taxi and explore the town of Arusha. In the late afternoon you will met by one of our Kilimanjaro team members, who will brief you on your upcoming trek. Dinner and Overnight at Meru View Lodge. After breakfast you will be picked up at your lodge and taken to the Kilimanjaro National park gate. After completion of all the necessary paper work, your adventure commences. 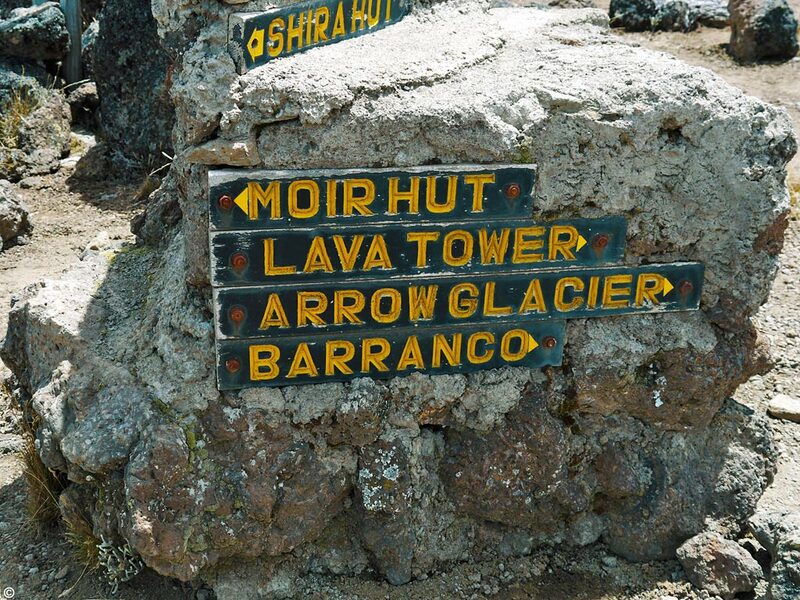 Your destination for today is the Machame Camp. 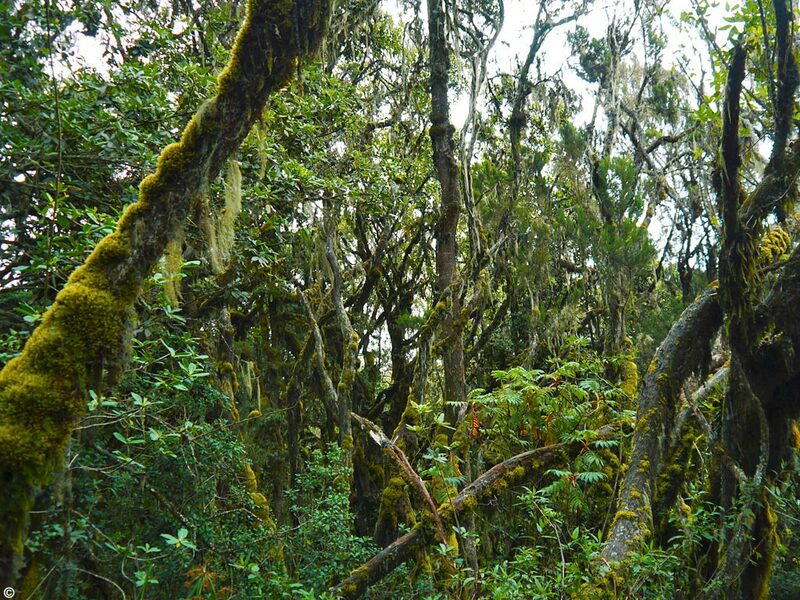 Soon you will be hiking through the lush rainforest with its large ancient trees, primeval ferns and endemic flowers, like the Impatiens kilimanjari. You might also spot black and white colobus monkeys, peeking through the leaves. Reaching the campsite you will have time to relax, stretch your legs and enjoy a hearty meal, before snuggling into your tent for the night. Acclimatisation is on today’s menu. 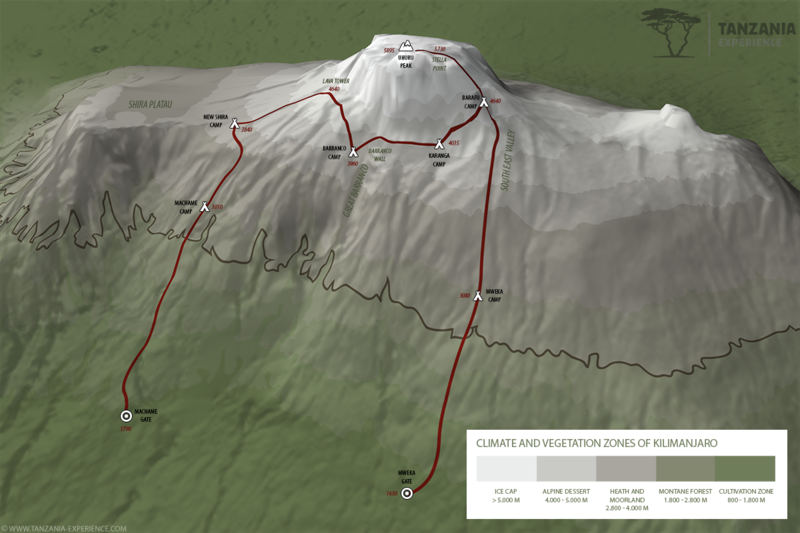 You will climb roughly 800 m, but sleep on a level not much higher than the previous night. Starting at Shira Plateau, you will make your way up to Lava Tower. Here you will rest a while, before continuing through the Barranco Valley to the beautiful Barranco Camp. The trek will take approximately 6 to 7 hours, but the various distractions of the alpine desert as well as the Barranco Valley with its small lobelia plants and giant senecios will keep your mind off the stretch still ahead. A well-deserved dinner and overnight awaits you at Barranco Camp. 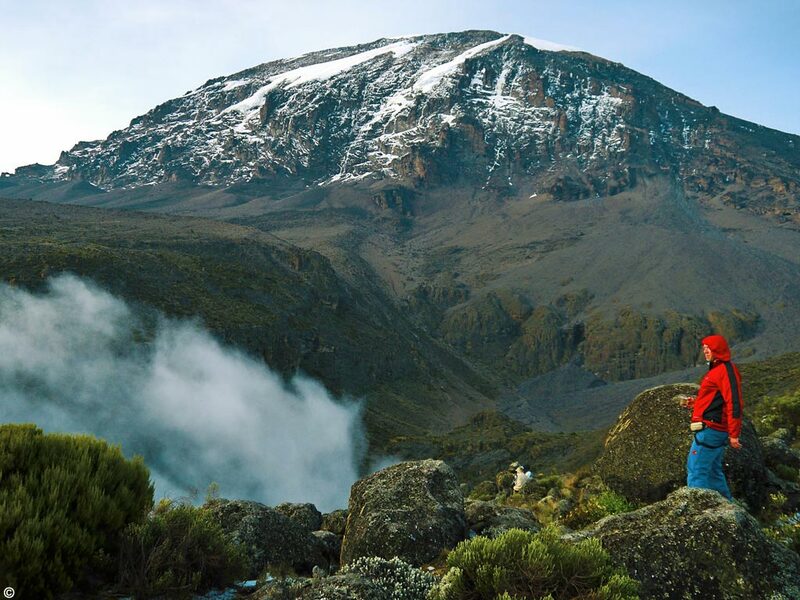 Today the Barranco Wall stands before you to conquer. Some stages will require you to use your hands for a better grip, but no actual climbing is necessary. Your guide will be with you every step of the way to lend a helping hand. The route with its numerous ascents and descents allow for further acclimatisation and leads you to the mountain ridge. 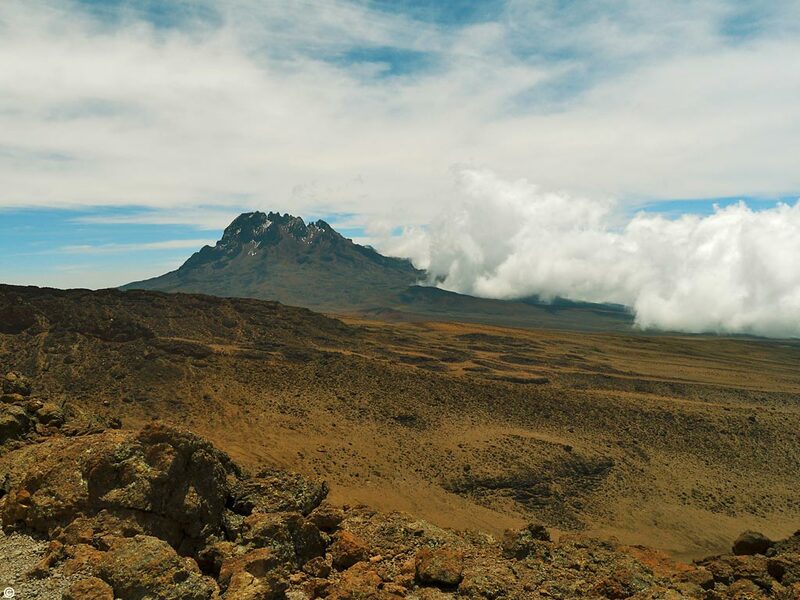 Walking along the ridge you can take in the beautiful landscape with its stunning contrasts of desert and vegetation, before finally reaching the cloudy Karanga Camp. Your trek will take between 3 to 4 hours, leaving more than enough time to rest and play a game of rummy. Evening meal and overnight at Karanga Camp. At around midnight you will be woken up by your guide with a warm cup of tea and biscuits to get you ready for your final ascent. The moon and your headlamps will be your only source of light as you make your way up to Stella Point (5,730m), reaching the crater rim in about 5 to 7 hours. 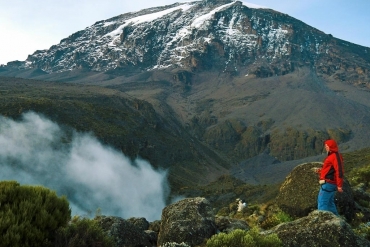 Another 1 to 2 hours will take you to Uhuru Peak, where you can enjoy the sun rising over the African landscape, casting a pink hue over the snowy peak and making the glaciers sparkle like diamonds around you. After capturing this incredible view and achievement on film, you will start your descent along the same route back to Barafu Camp, where your team awaits you with some snacks and refreshments. 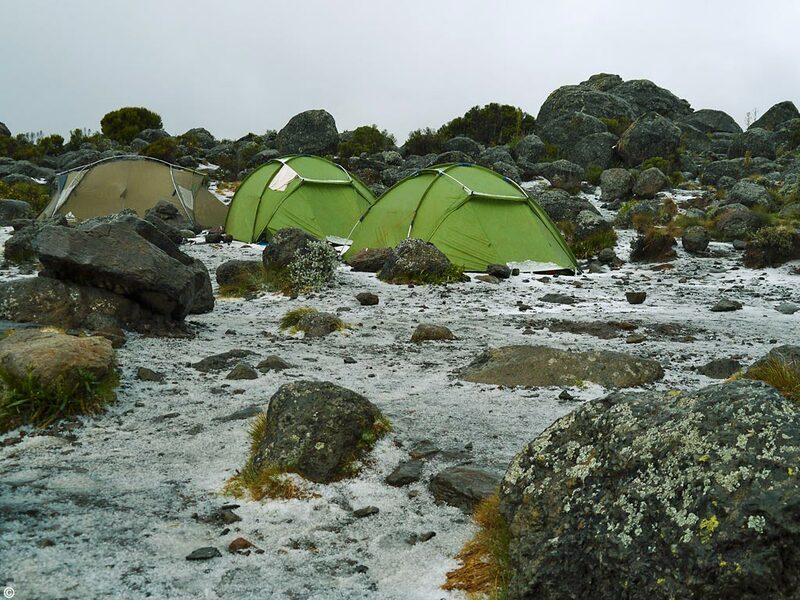 Rested and relaxed you will make your way to Mweka Camp for your last night on the highest mountain in Africa. A scrumptious breakfast is followed by a traditional farewell ceremony from your mountain crew, before you start your final stretch down the mountain. You will once more trek through the rainforest, giving you another opportunity to spot the cheeky colobus monkeys, finally reaching the Mweka Gate. You will be met at the gate and taken back to the Meru View Lodge for a long shower and relaxed day by the pool. Dinner and overnight at Meru View Lodge. Groups can be anywhere between 2 and 10 and climbers come from far and wide.